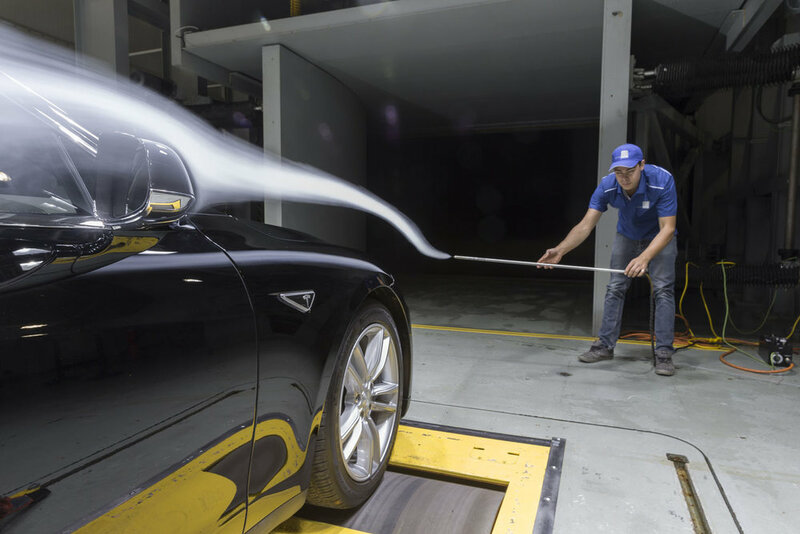 Photographer Life: The Good; Finally getting a chance to photograph a Tesla! 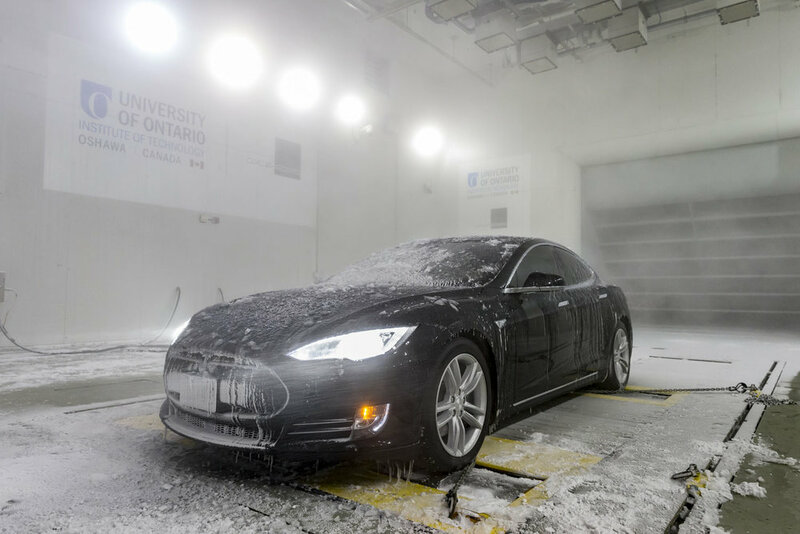 Photographer Life: The Bad; Photographing a Tesla at -15 degrees! 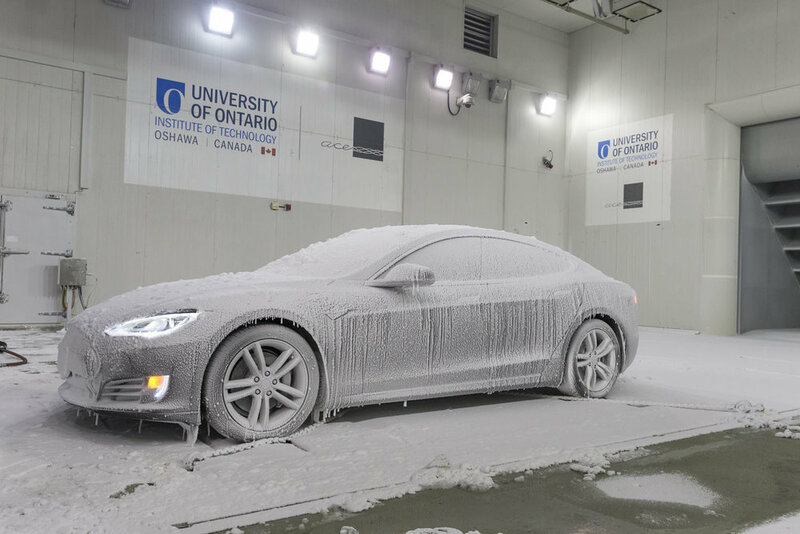 For the latest marketing at the Automotive Centre of Excellence (ACE) at UOIT, the assignment was to show the vehicle at various stages in their climate chamber. We started with freezing rain, then dropping the temperature even farther to -15 to cover the car in snow. This required me to spend 4 hours in the freezing chamber until the temperature could be raised to begin testing rain with 50mph wind before finishing with photos of an aerodynamic test with the smoke gun.